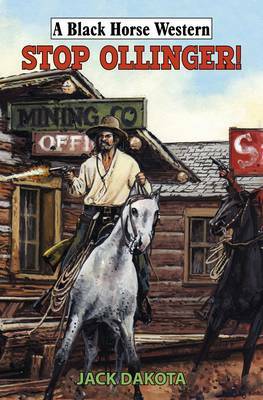 When the town of Mud Wagon Creek is destroyed by desperadoes it is just the start of a twisted trail of revenge for outlaw-boss, Bass Ollinger. He has sworn to make society pay for the time he spent in the Oregon State Penitentiary, shackled by the infamous Oregon Boot, and he intends blazing a trail of death and destruction clear from Texas to the Beaver State. Riding the border country, Brant Forrest unwittingly rides into Ollinger's path and with others also in the renegade's line of fire, comes to the inevitable conclusion: stop Ollinger!